Wow I have failed myself. 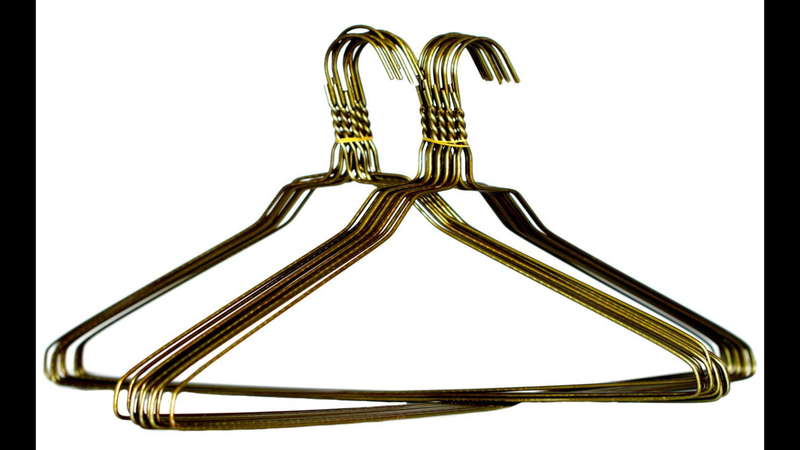 Your best coat hanger story here if you want to share. I have two kids and a beautiful wife. We all possess walk in closets full of garments hanging on coat hangers. NOT ONE OF THEM METAL!?!? Needed a freaking wire coat hanger for a little diy project and nothing but plastic junk! What the hell they’ve gotten me out of so many jams in my years of existence how did I let my stock get down to zero? I’ve cleaned clogged drains, strapped my busted exhaust to broken muffler mounts to stop the trail of sparks, broken into cars (not the crime style more like the I or a friend locked keys inside of said car), fished keys out of a sewer, fixed sagging plants, scaled a mountain (that one was a lie). The list could go on. Tomorrow I will find a 20 pack and I’ll hide them in my bug out bag because the wire coat hanger will be worth more than nearly anything ( well maybe not more than bullets/gasoline/tampons/water/food not in that order) in a post apocalyptic environment.